The new Minister in charge of Brexit says the UK should be able to formally trigger its departure from the EU “before or by the start of next year“. David Davis MP called for a “brisk but measured” approach, with a likely exit from the EU around December 2018. He said the “first order of business” should be to strike trade deals with non EU countries, including Canada, Australia and New Zealand. 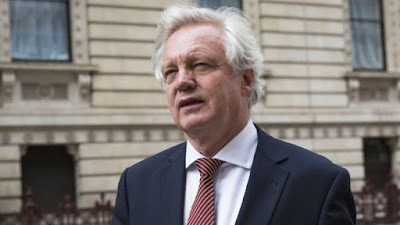 Mr Davis, a longstanding campaigner for Brexit, was appointed as “Secretary of State for Leaving the EU” by new Prime Minister, Theresa May. Mrs May has previously said she will not trigger Article 50 of the Lisbon Treaty, which starts a two-year process of leaving, before the end of 2016. In a Sun newspaper article, Mr Davis repeated comments made just before his appointment about how the UK should approach its departure from the EU. Key to the negotiations will be access to the European single market, which EU leaders have said is conditional on accepting the free movement of people. 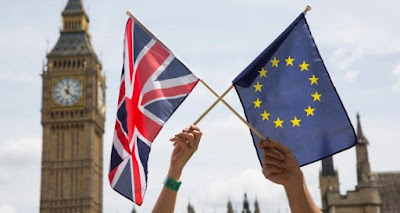 Mr Davis said the “ideal outcome” would be “continued tariff-free access” to the EU single market, adding: “Once the European nations realise we will not budge on control of our borders, they will want to talk, in their own interests“. He said the government should consult beforehand with the Scottish, Welsh and Northern Irish governments as well as business, unions and universities. “This whole process should be completed to allow triggering of Article 50 before or by the start of next year,” he said. Prior to Mr Davis’s appointment, Oliver Letwin MP was in charge of a “Brexit unit” inside the government. Alongside Mr Davis, other Brexit campaigners were given prominent jobs including former Defence Secretary, Liam Fox, who is in charge of negotiating international trade deals, and Boris Johnson, who was made Foreign Secretary.